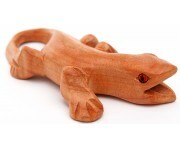 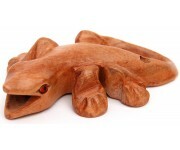 The Spotted (or colored wooden Gecko) Noise Makers, is also know as Infraorder Gekkota in the science world. 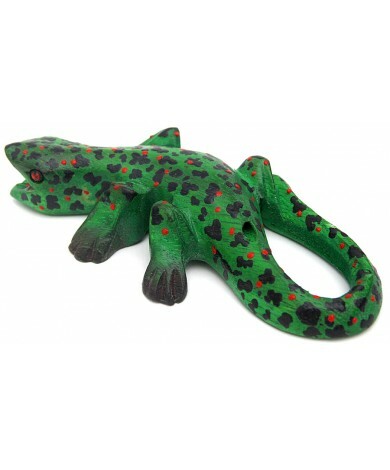 Our larger Gecko Lizard is 6" long and makes a unique noise when you blow into its hole. 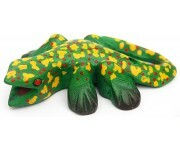 Our colored Gecko is handmade and handpainted in a Eco-Friendly Fair Trade work environment in Thailand, with no power tools ever used.